There's so much to see and do in Canada, especially when it comes to checking out forests, mountains, lakes or even glaciers. So why do some people see this spectacular scenery only through the window of an aircraft? 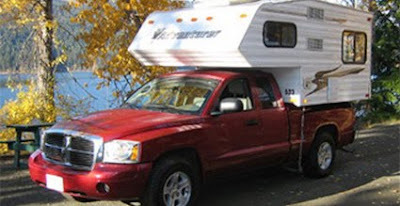 Get next to nature and experience Canada from the comfort of an RV motorhome. "So, how do we deal with these trailers and motor homes when faced with an impeding storm on the open road? Of course, the easiest way, depending on the storm’s severity, is to cancel that day’s travel. But, many times you are already on the road, and it develops without warning..."
Video: A clip highlighting travel experiences in Northern British Columbia.